Standing in the nave of a stone forest with the leaf canopy soaring overhead sun peaking between the branches glittering in burst of frank sunlight is the effect Antoni Gaudi wanted the visitor to experience while gazing in the direction of Heaven inside his Catalan Cathedral, Sagrada Familia. Gaudi also wanted the experience of luminescent light to filter from above. 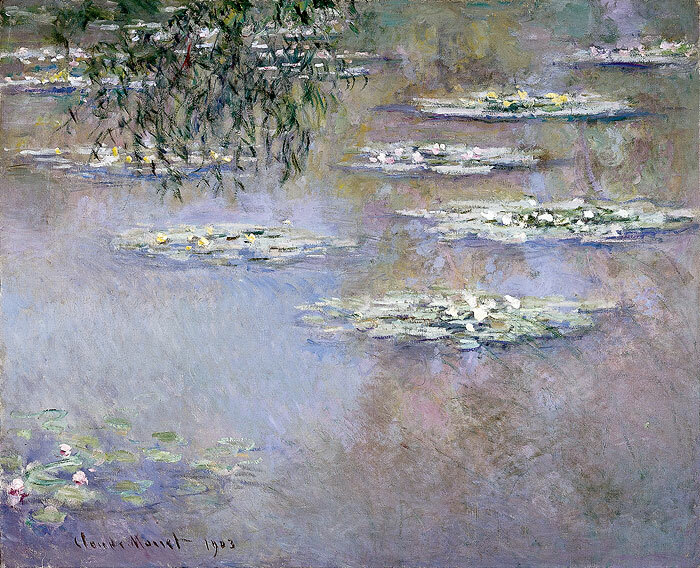 The same special light that lifted impressionist Claude Monet cataract shifted perception, Reflections of Clouds on the Water-Lily Pond, whose tension suspended lilies transform into orbs of islands of life, galaxies floating in time inverted in space. Antoni Gaudi’s magnum opus is the Catalan Cathedral still in construction in Barcelona, Spain. The structure is based on the balance of a floating tension design of a hyperboloid vault, how did Gaudi accomplish this, where does his inspiration come from ? His architecture is based on the geometry within Nature. 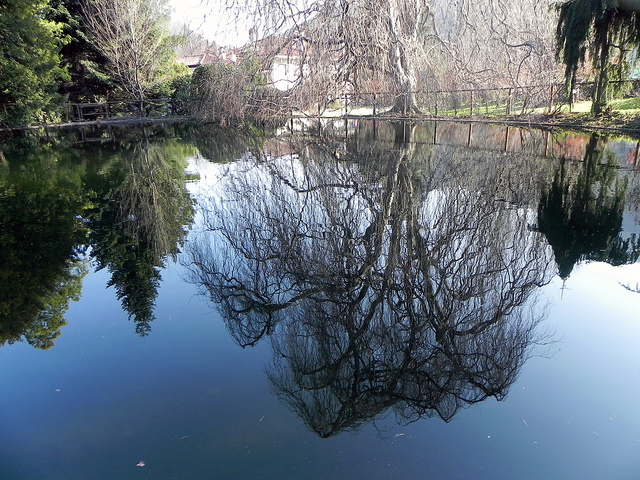 Gaudi like Monet would invert the world to see the omni presence of gravity on blooming trees. He noticed the intricate patterns of continuous branching as a solution to distribute the forces for the spiralling columns of his buildings. These arches conformed with gravity to shed the weight across arching over spanned spaces. The concept was essentially mimicking floating tension within a fractal pattern of scaled force distribution maintaining the integrity. The message within Gaudi’s Sagrada Familia, in not so much architectural but biological connectedness. We are still grasping the enormity of his artistic vision which is capable of revealing the scaled references to internal connects within cells, the enormous vector of gravity, the relation of cells to that force how they behave both locally and globally in the same time continuum. Antoni Gaudi is our most advanced teacher of Nature emphasizing the difficulty and elegance of structures, how they speak to us, how they communicate among the cells by shape sensing. 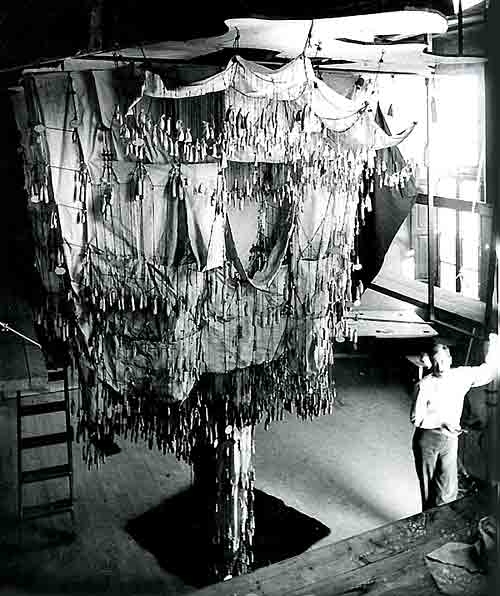 Gaudi standing beside his upside down working force model of weights. Notice how this work hangs with small bags of birdshot. These basic elements helped Gaudi with his design. He worked from the reverse frame of mind of literally turning the structure he wanted to build by studing it upside down to see how gravity would reveal the shape complexity to him. This way he knew how to assemble the mass with its elegant balance within all its elements since he knew how they positioned themselves. Guadi was a student of gravity involving floating tension, that was his genius interpretation from Nature when he looked at a tree upside down. Newton was inspired under a tree, Gaudi was inspired by the tree. “Another element widely used by Gaudí was the catenary curve. He had studied geometry thoroughly when he was young, studying numerous articles about engineering, a field that praised the virtues of the catenary curve as a mechanical element, one which at that time, however, was used only in the construction suspension bridges. Gaudí was the first to use this element in common architecture. Catenary arches in works like the Casa Milà, the School of the Teresianas, the crypt of the Colònia Güell and the Sagrada Família allowed Gaudí to add an element of great strength to his structures, given that the catenary distributes the weight it regularly carries evenly, being affected only by self-cancelling tangential forces. Gaudi wanted to build. He could not have accomplished the design without knowing them. The commentators are still mesmerized by his genius without seeing what he saw, the designs within Nature of the very specific attachments. Gaudi’s architecture is the architecture of Nature, gravity balancing of fractal floating tension within the design. Antoni Gaudi is the kind of man who is timeless. 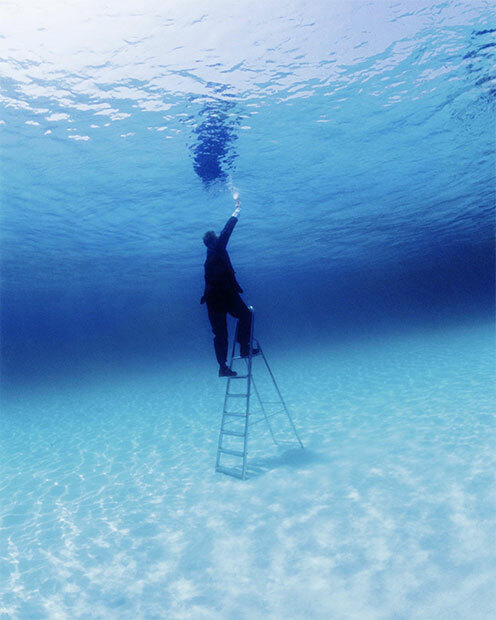 He sees in objects around him with the clarity of sensitivity that the average person does not pay attention to. 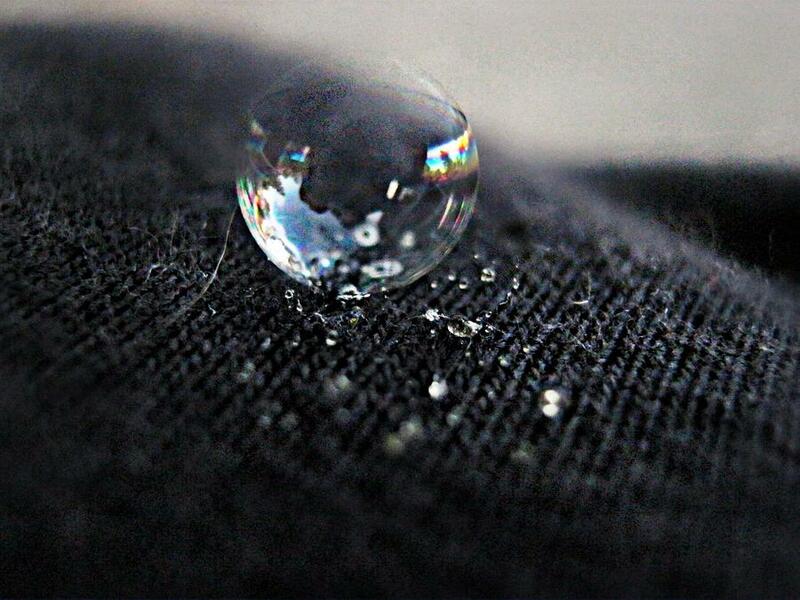 He can see within the drop of water a world suspended in curved light. The curved light in a gravity field. Gaudi was inspired by a single drop of water transforming its coherence into a cathedral that simply stuns the observer. Gaudi captured all the critical aspects that make up our planet Earth. He simplified his vision of the handedness, the chirality of life into the balance of a tree growing toward sunlight. The energy of the growing tree seeking light as its nourishment established its form of shape. 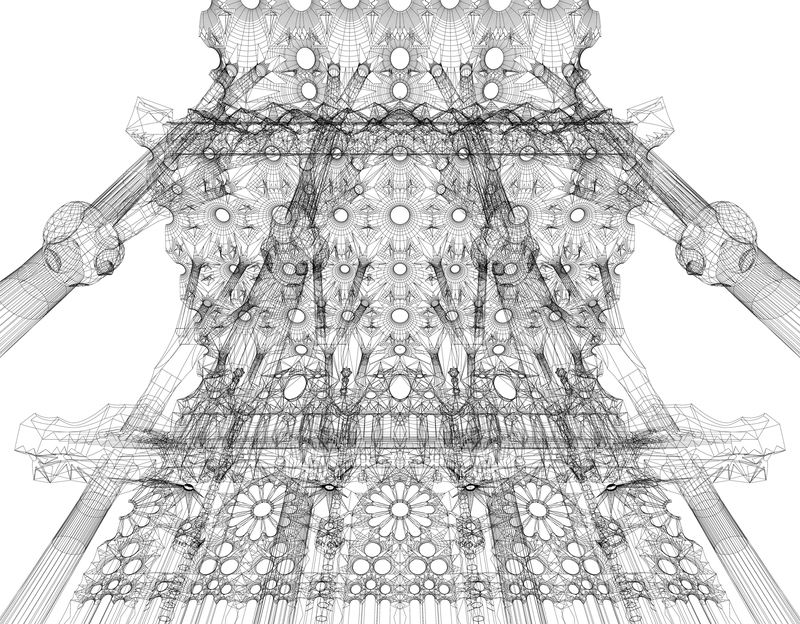 The shape of all its elements follows the coherence of the fractal design within a floating tension between the local elements harmonizing into the total shape. The shape is the suspended vertical shape held under a balanced floating tension hidden in the intricacy of the multitudes of layered surface features. The effect is mesmerizing to the observer gazing at the sweeping vault overhead. Below, the tree is spreading its roots seeking gravity nutrients at each zone of exchange into Mother Earth. Gaudi taught himself to design inside out from the smallest elements incorporating into the larger clusters. Life on Earth started with small-scale, with viruses with bacteria. Bacteria learned to cluster to perform as a community within a structure behaving as individual shapes surrounding their outer envelopes, but critically sensing as shapes. Bacteria are still communities acting as a biomass with a symbiotic intelligence within our gut to our central nervous system. Gaudi reveals to us the hierarchy of the inside out approach how minor supporting elements become linked into ever-expanding connections how all of this density of connections attaches into an over all shape that only becomes apparent at the very end of the building process. The Sagrada Familia is expected to be completed somewhere in the next decade. Then the repairs begin. But realise this observation. The Gaudi cathedral is rigid, employing all the elements that Nature uses. But your brain is the same as the cathedral but a billion times more interconnected. Your brain moves in its envelope of flexibility with each life breath, the pulse flashes as a majestic expansion and contraction to the beat of your heart. 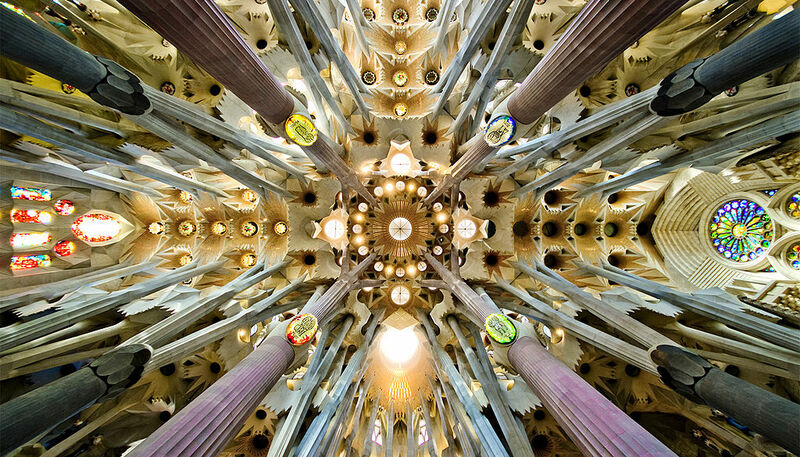 Each human brain is a Gaudi cathedral of infinite complexity, completely dynamic in its potential.